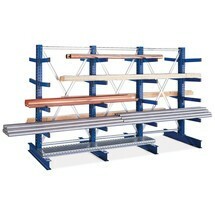 Whether lying or standing, META cantilever racks offer ideal storage conditions for oversized long goods such as steel bars, pipes or planed goods. 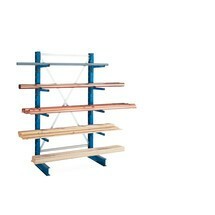 Install the storage rack according to the individual requirements of your company and deposit protruding materials in a space-saving manner on 4 racking levels. 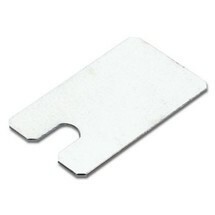 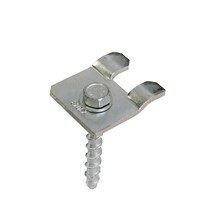 Bolted and boltless connections as well as a hole pattern of 100 mm offer you a wide range of possible applications. 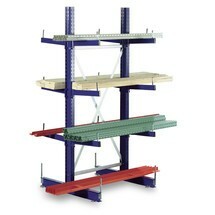 The single-row assembly allows for one-sided use of the rack by hand or with fork lift trucks. 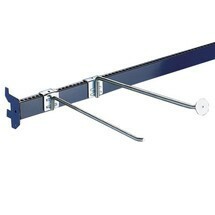 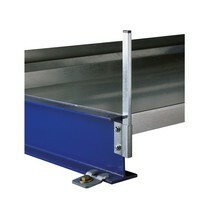 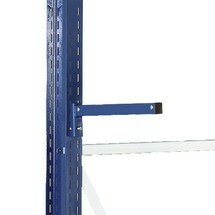 A total effective depth of 400 mm is available for each rack level. 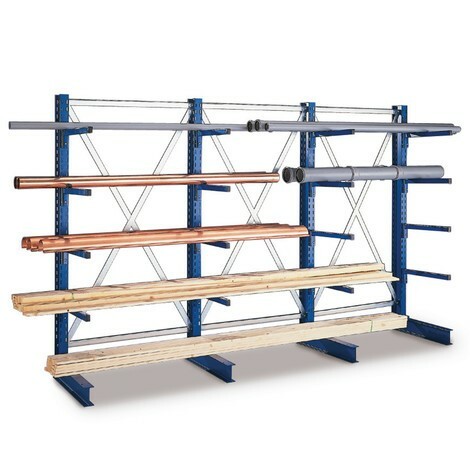 META cantilever racks are manufactured according to the quality and testing requirements of RAL-RG 614-5, guaranteeing safety and load capacity in everyday use. 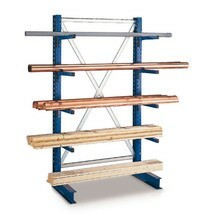 For efficient planning, you can refer to a professional CAD drawing. 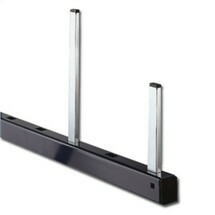 This will enable you to fit the rack perfectly into your storage area. 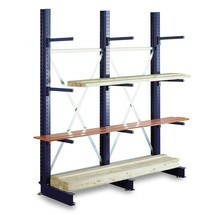 Increase the effectiveness of your long goods storage and order this complete package consisting of META cantilever racks with one-sided access from us here.